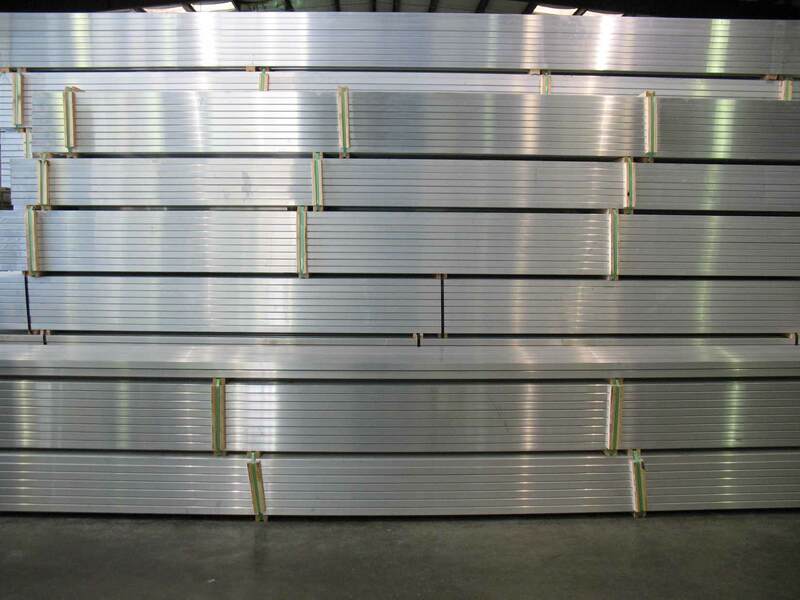 The Tip N Roll aluminum bleachers are convenient and ready for use. These bleachers, when they are finished, can be tipped onto their non-marring swivel casters and to a prime location for use or storage. Equipped with rubber pads and wheels they are sure to keep your floor clean and scratch free after moving. Best if stored in the upright position. 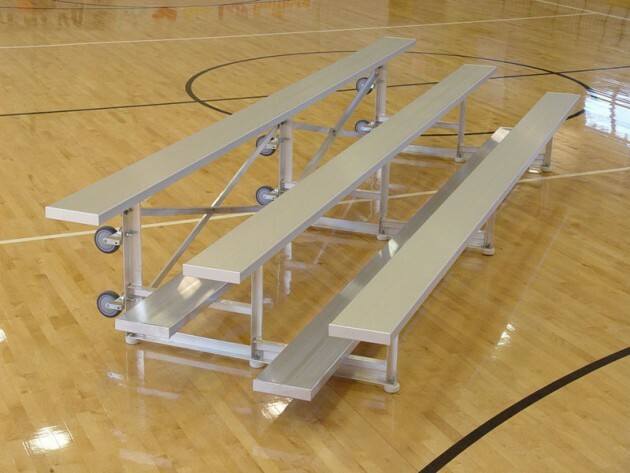 Meeting all international building code requirements, these bleachers are optimized for safety. Seating varies from 15-54 depending on length of bleacher. 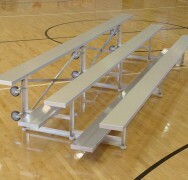 The Tip-N-Roll aluminum bleacher system is a type of auxiliary seating. 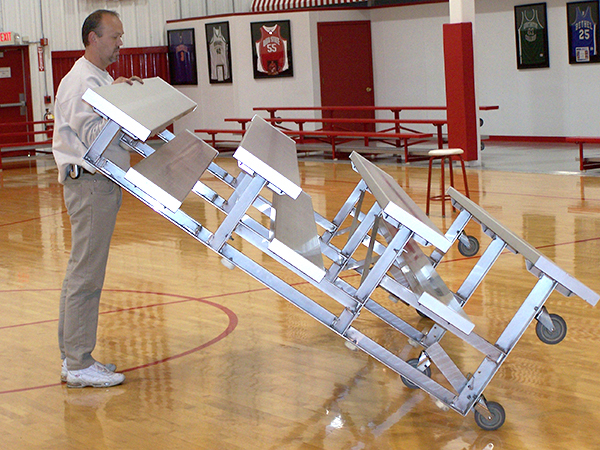 When in use, this unit functions as an ordinary bleacher. After your event, the bleacher can be tipped back and rolled to a safe storage area. It has rubber pads to protect floors.